In aid of Walking with the Wounded and sponsored by Artemis, this popular bike ride consists of 3 cycle routes (75, 50 or 25 miles) through the Kent countryside. WWTW was established in 2010 to fund the re-training and re-education of our servicemen and women, both veterans and those leaving The Armed Forces today. They finance new qualifications, education and training programmes for those who are injured, to help with their career transition. This enables the blind, the burn victims, the mentally injured, the amputees and all the other wounded to rebuild their lives and to return to the work place. We owe these young men and women so much for what they have done in our name and for our country. With your kind donations WWTW can help to repay them with working to ensure that they each have a bright and fulfilling future for themselves and their families. Thank you for your support. £30 registration donation. Any further donations for this worthwhile cause will be gratefully received. The Richmond Half Marathon organised by Ranelagh Harriers continues to grow in popularity. It's not surprising as its over a fast, flat course which includes Hampton Court and the River Thames and is a popular post VLM race. Early entry is always advised as the race has sold out well in advance for the past few years. Please note that there is a 2 and a half hour cut-off time for this race. The 2019 Run will be the 12th Mundays 5k Fun Run in aid of the Princess Alice Hospice in Esher. The Hospice have provided free end of life care to adult patients since 1985. We have raised over £57,000 to date. We are excited to announce a change of venue for this year – to the historic 18th century landscape gardens of Painshill Park in Cobham. Runners will be able to take in the beautiful vistas across the lake, to the Five Arch Bridge, the Gothic Folly and the vineyard. This is a great team building event, so bring along your friends or colleagues from work and your supporters. Run as an individual or compete for the team prizes. Please follow this link to go to the 2019 entry page. Organised by Erme Valley Harriers, this spectacularly scenic race starts in Ivybridge Station Car Park and finishes at Ivybridge Rugby Club. Car parking, Changing, Shower, refreshment and Pre/post massage facilities are available. The course is relatively fast, despite the steep hill from Bittaford to Moorhaven. The last 6km of the route are almost all downhill, making for a fast 2nd half of the race. It is anticipated that the event will fill up before the day so be sure to enter early to avoid disappointment. Extensive prize list and Quality Memento to all finishers. This store will close at noon on Friday 10th May. Please follow this link to the 2019 entry page. Please note that this race does not permit the use of headphones except for bone-conducting headphones permitted by UK Athletics. 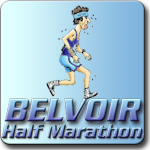 This race is a scenic and challenging 10 mile, 2-lap course comprising 50% road and 50% tracks & grass starting and finishing at the home of the famous Derby horse race and is normally supported by around 700+ runners of all abilities. Much of the proceeds of the race go towards assisting local charities. There are prizes for top 4 Male and top 3 Female finishers, plus generous Vets prizes. And of course a memento for all finishers. There are team prizes for top male and female teams. For UKA club members this will be done by Club. Non-affiliated competitors can choose their own team name and members. A scenic ten mile multi-terrain race along the Thames Towpath, incorporating the towpath between Chiswick, Richmond and Kew. The route, while multi terrain, is flat and fast so is good for those runners aiming for a PB. There will be markers at every mile, a free engraved Fuller's Thames Towpath Ten pint glass for every finisher. This race is not suitable for pushchairs, wheelchairs or racing with dogs. Click here to register for the 2019 event. We always hold the event 2 weeks before the London Marathon, so the 2019 races will be on Sunday 14th April. If you are entering the London Marathon, this is a good test for you, with plenty of time to recover. Both races start and finish at Hose Village Hall, with easy access and parking. Both the races go along quiet rural roads, through attractive, gently undulating countryside, which has been proven over the past 37 years to give many personal best times. We get lots of local helpers, so it is a friendly event, which first-time runners will enjoy, as well as welcoming back our many regular visitors. The 7km Road Race starts after the Half Marathon, so that the runners can watch the exciting start of the Half Marathon and are back at the finish in time to watch the winners arrive. A fast, flat and accurate course on roads through the hop fields and orchards of Kent. Ideal as a warm-up for the London and Brighton spring marathons. 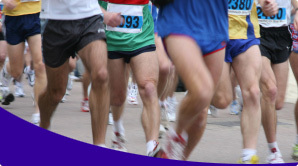 Kent's largest half marathon with excellent facilities including ample parking, local train station, supervised baggage store, refreshments, physiotherapist, results on the internet immediately after event and full first aid cover. Regularly voted amongst the best races in Runners World Top 100. Start & Finish Chip Timing. Please note that there are no refunds, no deferrals and no name transfers. Sorry - the course is not suitable for pushchairs and buggies. Follow this link to go to the 2019 entry page. Sport Systems are always looking for technical people with an interest in running to help out with events. Visit our jobs section to find out if we could use you. 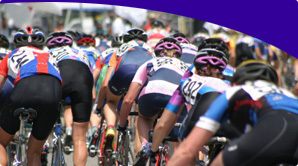 We provide Results Software and Race Management Packages to suit every event and budget.